PEGAS made a brief two-day visit to Dubai on November 27-28 to meet with journalist Vesela Todorova, who has written several articles on wildlife trade in the United Arab Emirates, and Dr. Ullrich Wernery, Scientific Director of the Central Veterinary Research Laboratory in the UAE (see Dark side of UAE’s exotic animal fascination). Dr. Corina Berners, a taxidermist at the laboratory, also attended the meeting. The UAE has long been known for its position both as destination and transit point for wild animal trade. Many wealthy Emiratis keep private menageries and there are several zoos and animal parks in the country. 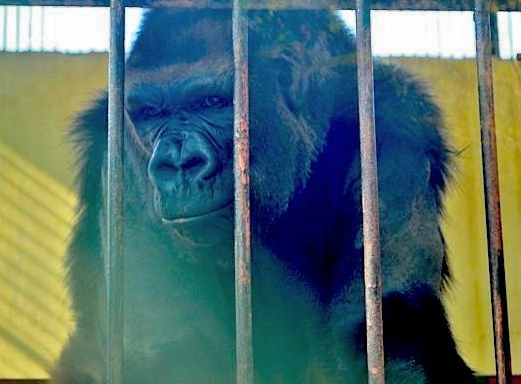 PEGAS wanted to find out if great apes were in demand in the UAE for these facilities. In the many years that the two veterinarians have been treating and performing post-mortems on dead wild animal pets, they have yet to see a great ape. While conducting her wildlife trade journalistic investigations, Todorova had not encountered great ape trafficking. They had all heard of great ape pets, but think that the number of cases is quite small. Dr. Berners knew a woman who had recently received an orangutan as a pet and tried to arrange an appointment for PEGAS to meet her, but the woman declined the invitation. From press and media accounts that PEGAS has seen, orangutans appear to be the ape of choice for Emiratis. The private zoos are very difficult to visit, unless you happen to be a multi-millionaire or celebrity. What goes on behind high walls is unknown to the average person, except for the veterinarians and keepers who look after the animals. 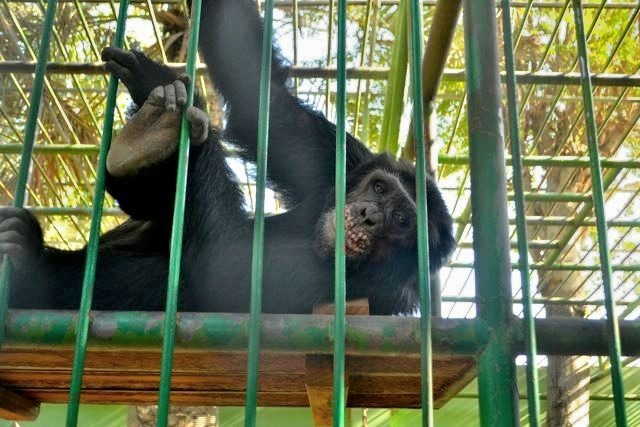 PEGAS also visited the Dubai Zoo, which held a pair of eastern lowland Grauer’s gorillas (named Digit and Diana) and three chimpanzees in two cages. One empty cage had a plaque indicating it should contain a chimpanzee, but it was empty. While PEGAS was in Dubai, the Sharjah government announced that exotic pet owners had 30 days in which to surrender their illegally imported exotic animals. (Sharjah is one of seven emirates comprising the UAE.) 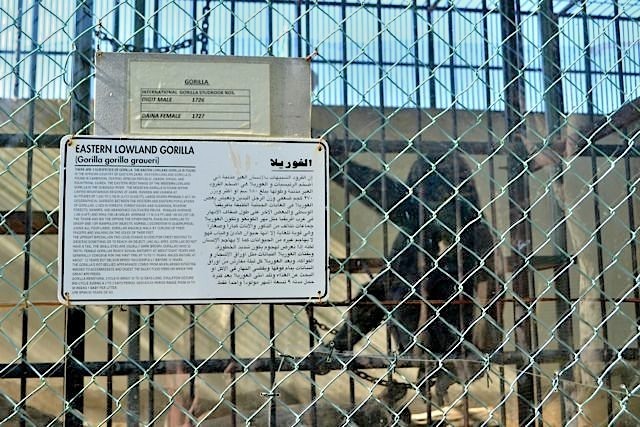 However, public and private zoos, scientific and research centres and universities which obtained licences from the Environment and Natural Reserves Agency in Sharjah are exempted. It is unclear whether this will apply to other parts of the UAE. Grin and bear it, this chimpanzee in Dubai Zoo seems to be saying. PEGAS plans to return to the UAE to conduct follow-up work in 2015. This entry was posted in Egypt-UAE mission, PEGAS and tagged Egypt-UAE mission, PEGAS. Bookmark the permalink.